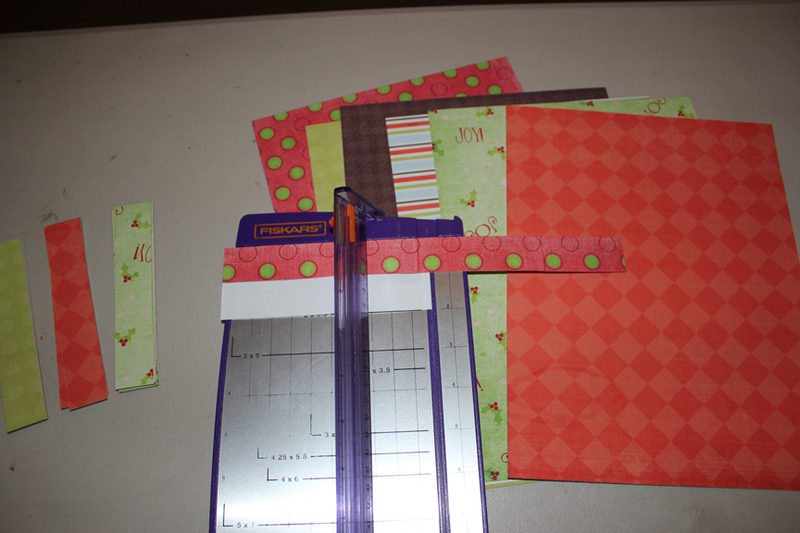 I printed on both sides of (12) – 8.5 x 11 inch Presentation paper(using a different pattern for the opposite side). I printed 4 of each combo I chose to put together. 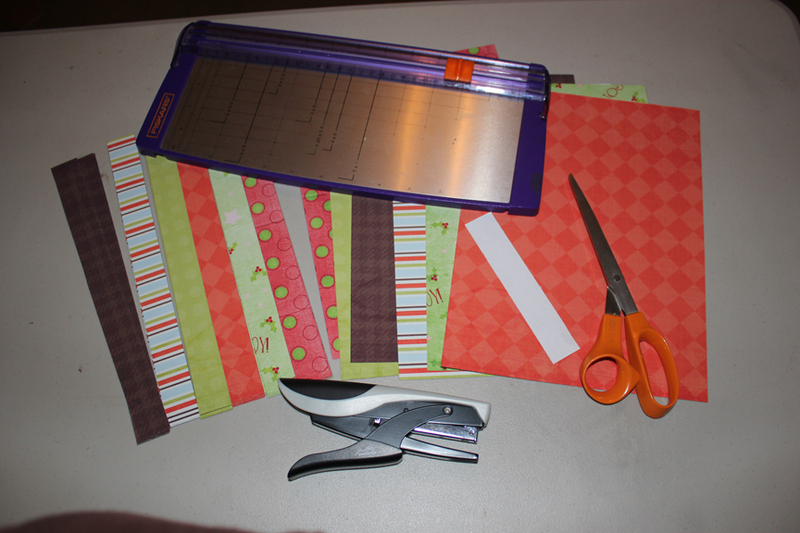 Cut a piece of plain white paper the same way in a 1 inch strip x the same length of your patterned strips and then fold it in half and cut along the fold. 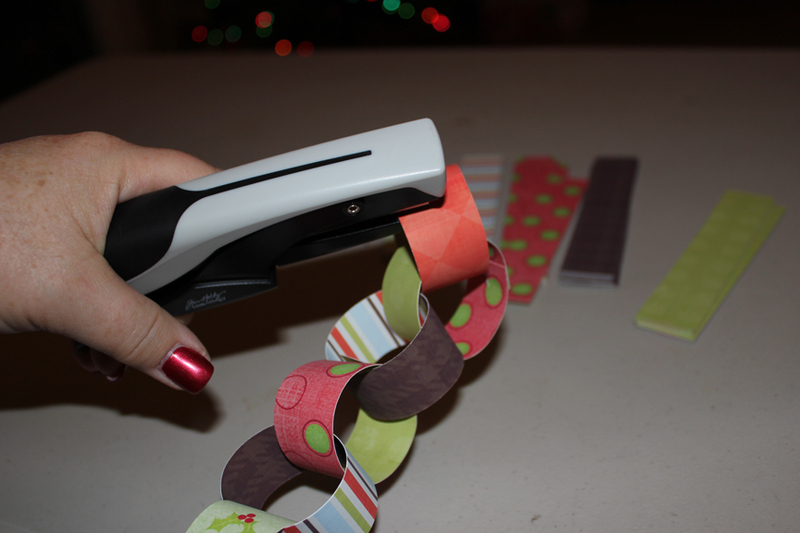 You will use this 1/2 strip to help you place the long strips back on your cutter to cut each long strip in half. This will save a lot of time cutting multiple strips at a time. 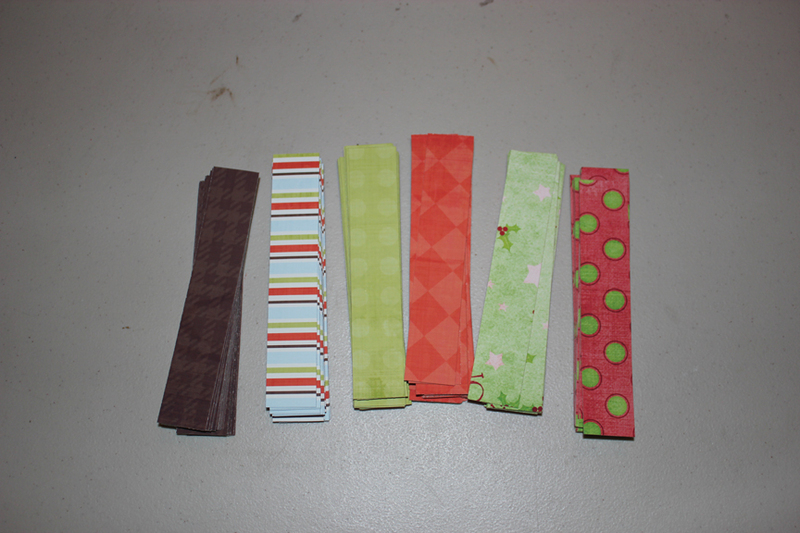 Line up all 8 strips and cut them in 1/2 all at once. 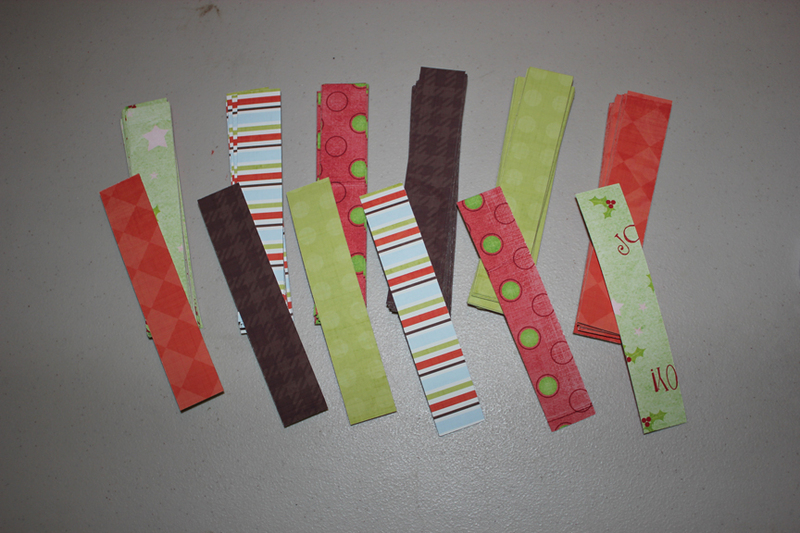 You will get (16) 1/2 strips out of each page. You will end up with (192) 1/2 strips in all. 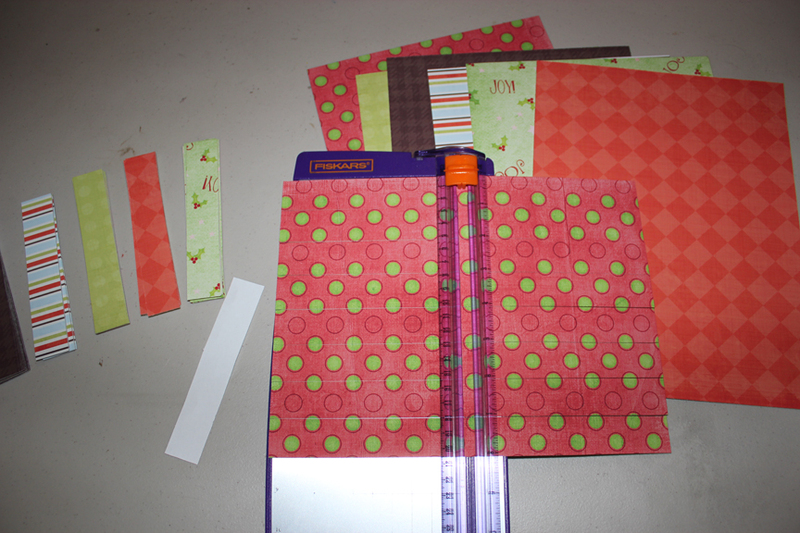 Remember these are all printed double sided so find a pleasant color pattern before you start stapling. Below are the opposite sides of each of my 6 patterns. 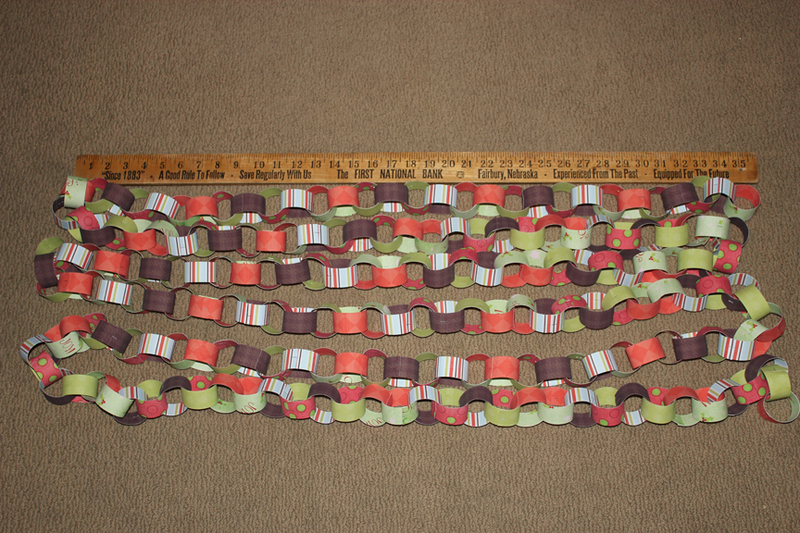 Now get your Tiny Attacher and start making loops and overlapping at the ends about a 1/4 inch. You can put one staple in the middle of each overlapped end. Keep your 6 stacks of paper in a row and just use one of each and then start over again. 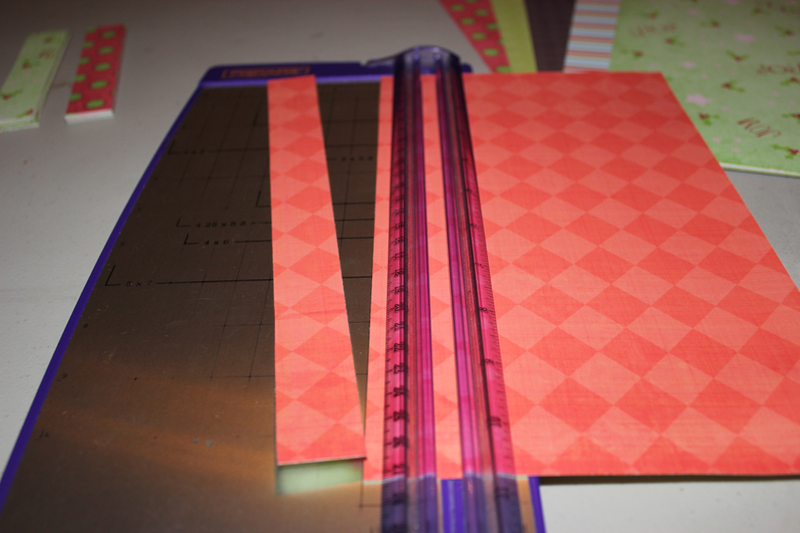 Doesn’t the inside look pretty with a patterned printed on both sides? 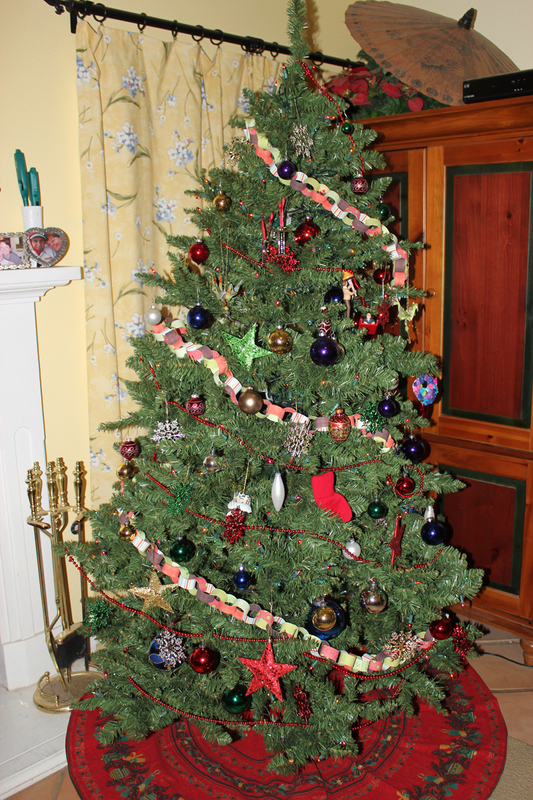 I ended up with about 18 feet of garland when I was finished! It went around my tree about 3 times. 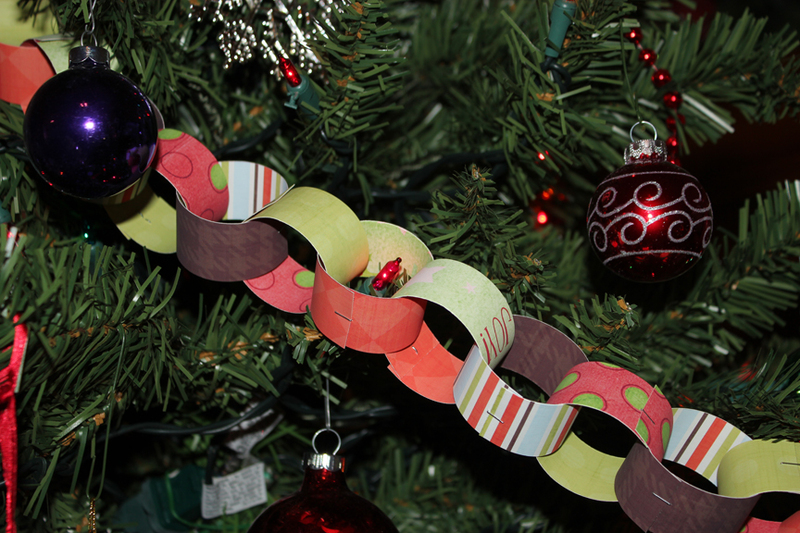 And here is a closeup of the garland on the tree! This entry was posted on Sunday, December 4th, 2011 at 4:38 pm and is filed under Uncategorized. You can follow any responses to this entry through the RSS 2.0 feed. You can leave a response, or trackback from your own site.